The Minto Mine is an open pit and subsurface copper mine located 240 kilometers north of Whitehorse in Central Yukon, Canada. Upon closure, the mine will have pit lake overflow and waste rock dumps with seepage requiring treatment for elements such as copper and selenium. 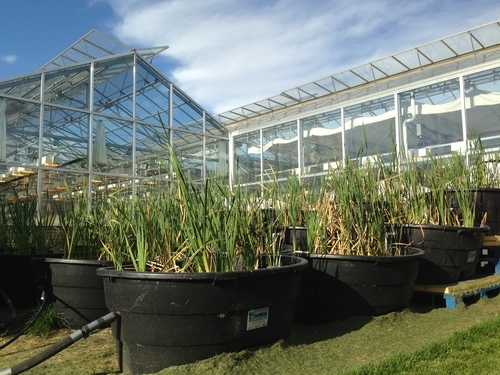 Contango Strategies was engaged to provide specialist support for design, piloting and implementation of constructed wetland treatment systems, and support with other passive water treatment mechanisms such as bioreactors and sedimentation basins. Download our Minto Project Overview PDF for more detail on this project and our Progress PDF for performance results to date, or Contact Us for information on projects like this. The NICO Project is located 160km northwest of the city of Yellowknife in the Northwest Territories. The site is a Gold-Colbalt-Bismuth-Copper project which in the closure phase will have a co-disposal facility for tailings and waste rock management that is predicted to have seepage requiring treatment. Contango Strategies was engaged to provide specialist support for design and piloting of site-specific Constructed Wetlands for water treatment of a variety of constituents of concern upon closure, including aluminum, arsenic, cadmium, cobalt, iron, lead, selenium, sulphate, and uranium. Download our NICO Project PDF for more detail on this project, or Contact Us for more information on projects like this.